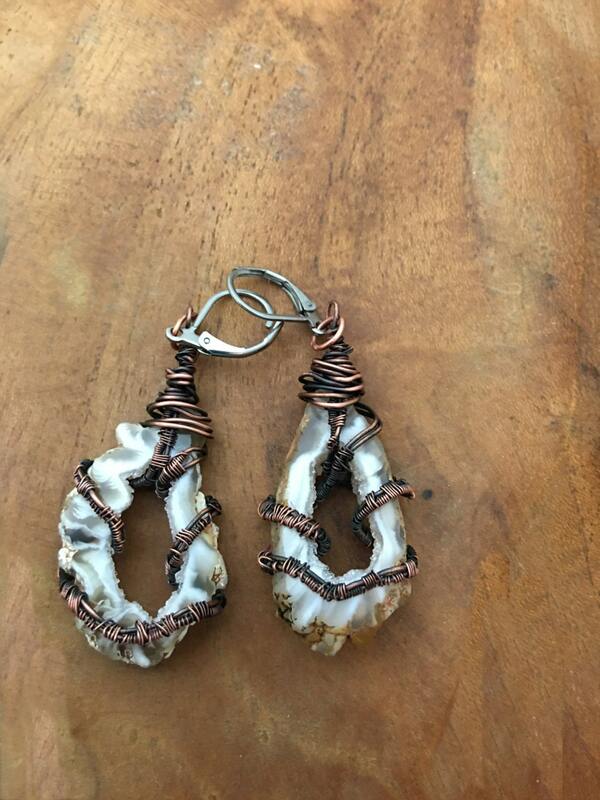 These little agate earrings are delightfully pretty! 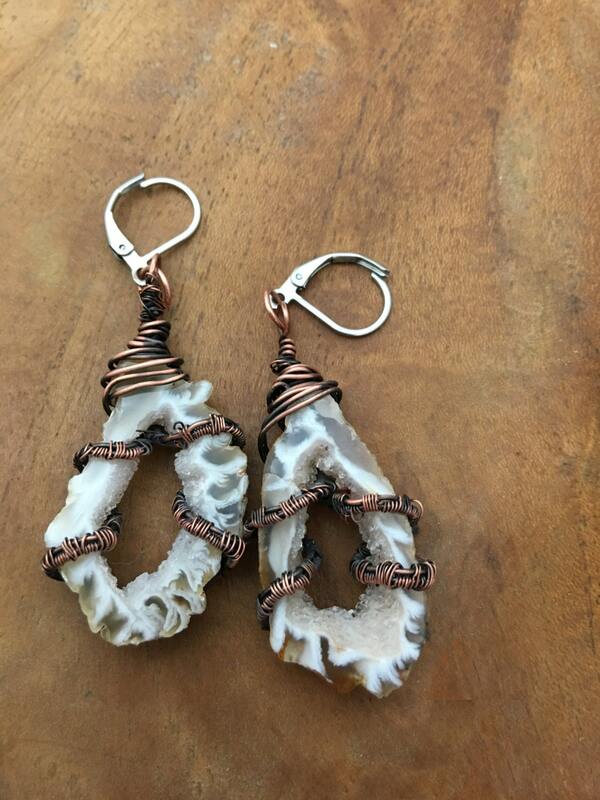 They are wrapped with woven copper wire and hang from stainless steel earwires. They match any of the agate pendants on the site. I love the grounding I feel when I wear them. From the loop at the top of the wire, to the bottom of the stone the agates are 1.75 x .75". They are very light weight.